IBS Design, the company behind some of the country’s most successful wedding planning sites, depends entirely on its online presence to generate income. 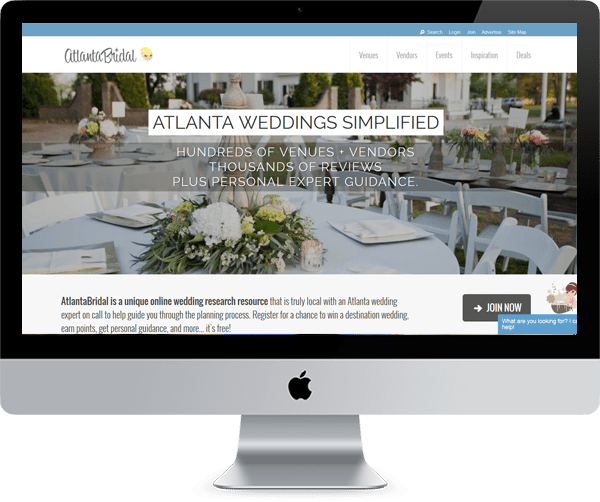 Serving local markets in several US markets, IBS's websites, including atlantabridal.com, chicagobridal.com and alabamabridal.com, must be up in order to generate advertising and subscription revenue. IBS Design needed a partner that understood these critical uptime needs, and could work closely with them to achieve their goals, including the hosting of special hardware and software. IBS found that partner in Peachtree Solutions. Hosting with us since 2002, IBS has enjoyed 99.98% uptime, with access to our skilled software architects and PCI security experts on an as-needed basis. Moreover, IBS isn’t spending a fortune on its own dedicated firewall and networking infrastructure. Uptime is crucial to our business, so we count on Peachtree Solutions to host our 19 sites. They are very responsive, and we know our data is safe and secure at a Tier 1 data facility.